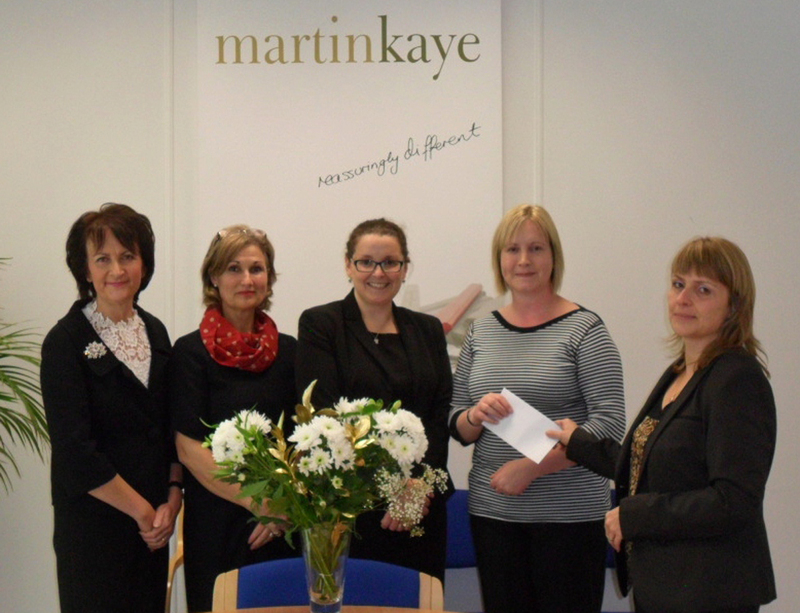 Staff from Martin-Kaye Solicitors have been recognised for their commitment and dedication. We held a special presentation for four members of staff who have each completed 15 years' service. The awards were made to Michelle Millward (from the property team), Nikki Pickering (who works in the family law department), Christina Martin (administration and personnel), and Joyce Green (archiving manager). They all received gift vouchers from their chosen store and have been praised by our senior management team for their loyalty and hard work. Alison Carter, who is a partner in our firm and who arranged the presentation, said: "We are extremely proud of our long-serving members of staff and to celebrate with four more employees who have reached an important service milestone is great news. "Staff turnover in our practice is generally low and we have many employees who have been with us for over two decades. "Their dedication ensures that our clients receive the very highest levels of customer service, and we are very grateful for their commitment to our business." Alison said the firm rewards staff in three long-service categories - over 15 years, over 20 years, and over 25 years. "We believe it is important to recognise our staff for their efforts, as without them, our firm could not possibly operate and it's thanks to them that the reputation of Martin-Kaye Solicitors continues to go from strength-to-strength."